The week of International Women’s Day brought with it some of the busiest days in Neha Bagaria – CEO & Founder of JobsForHer's calendar. 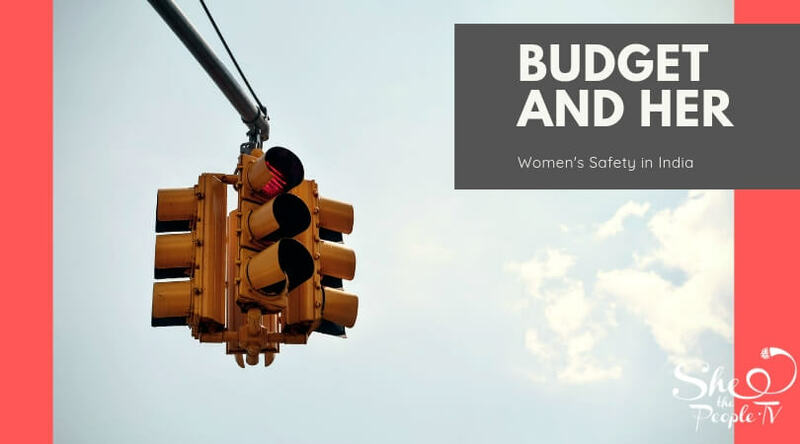 Here's a glimpse of her city-trotting - hosting and partnering in events, engaging in inspirational panels, and addressing a LIVE crowd, while staying on top of her never-say-tire spirit. In the cover image: Neha Bagaria, at a JobsForHer curated event with Embassy Tech Parks’ for their Women's Day celebration in a rendezvous with Manisha Koirala – Three-time Filmfare Award winner, UNPF Goodwill Ambassador, and advocate for cancer awareness. A conversation that left both our online and offline audiences stirred through the inspirational learnings of this cancer survivor. 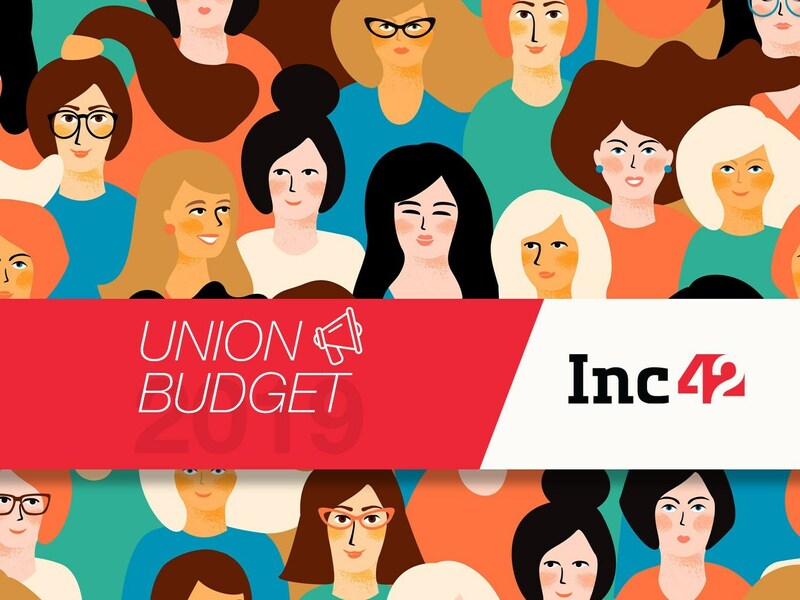 Join the 1 million Indian women we're helping to start, restart, and rise in their careers, every day!! 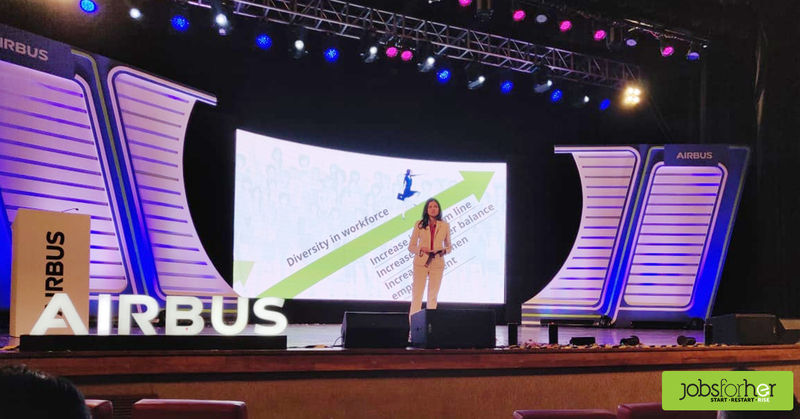 Neha Bagaria takes center stage at the MLR Convention Centre to launch Airbus’s returnship program for women – Fly Again. 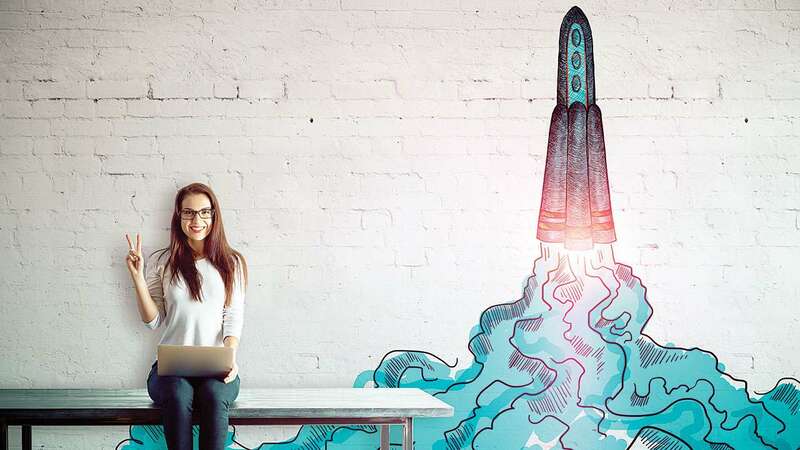 It was launched on March 8, the International Women’s Day, as a part of Airbus India’s efforts to ensure that women can make a smooth return to professional life through structured mentoring, up-skilling and onboarding. 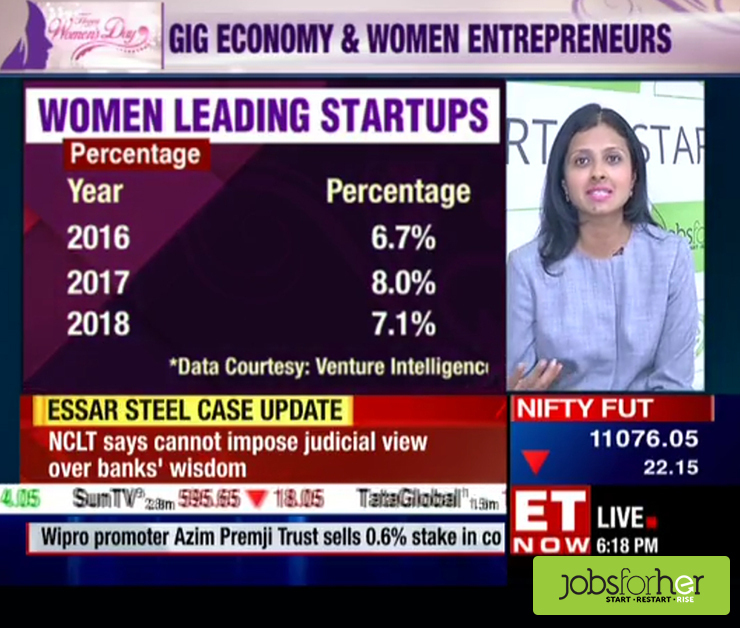 In conversation with ETNow on women startup founders, the gig economy, and on designing a new kind of workplace that is fair to all. 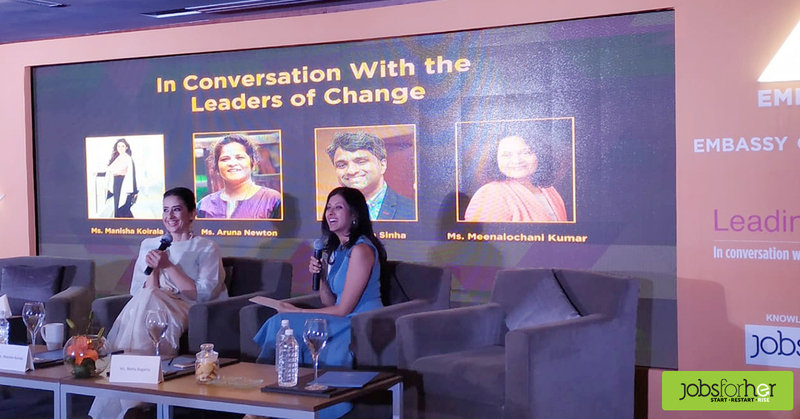 Sharing space with fellow panelists, Neha Bagaria makes her presence felt at a panel discussion - part of Amazon’s celebrations for International Women’s Day 2019. 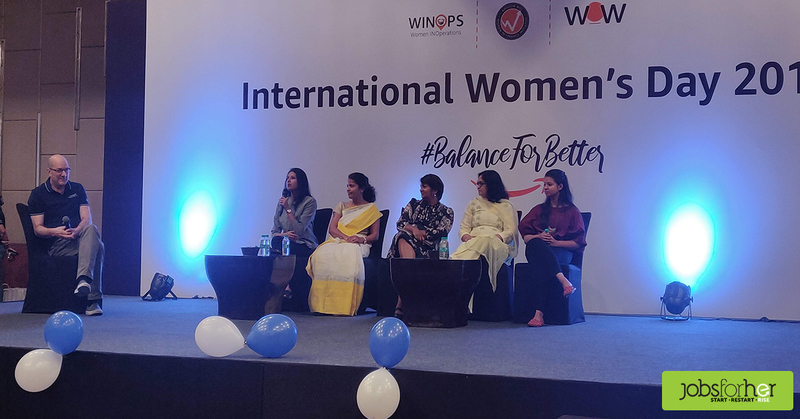 With balance driving a better world, the theme revolved around this year's IWD theme - BalanceforBettter. 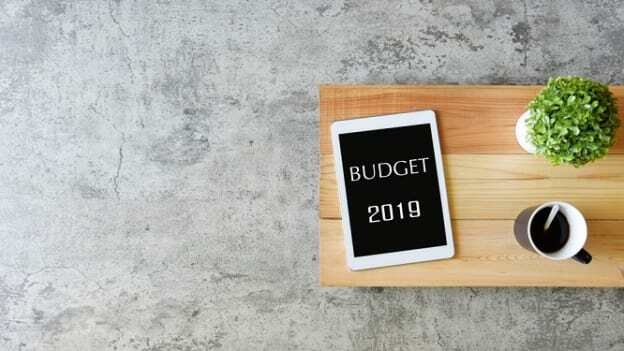 What have YOU endeavored to achieve for YOUR CAREER in 2019?